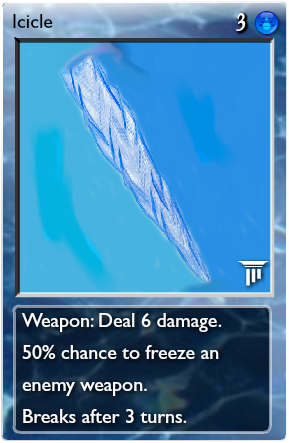 50% chance to freeze an enemy weapon. 50% chance to freeze an enemy weapon. Breaks after 3 turns. 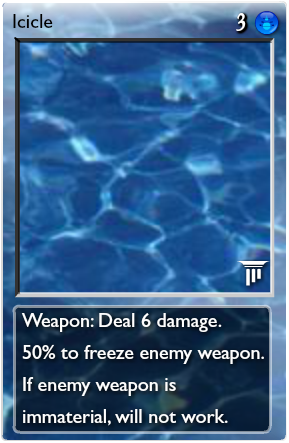 50% to freeze enemy weapon. If enemy weapon is immaterial, will not work. 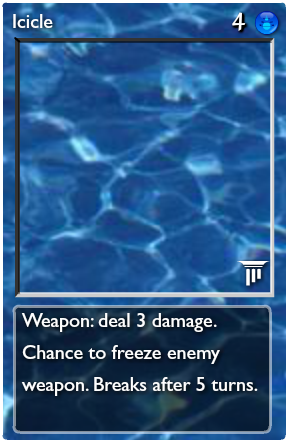 Freeze a random enemy creature on the opponent's side. 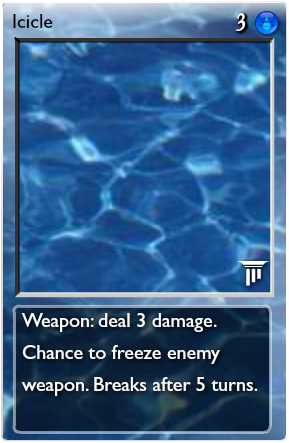 Chance to freeze enemy weapon. 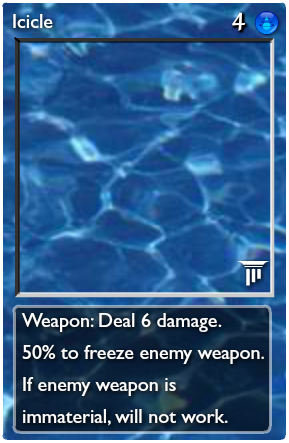 Breaks after 5 turns. Link Meow? 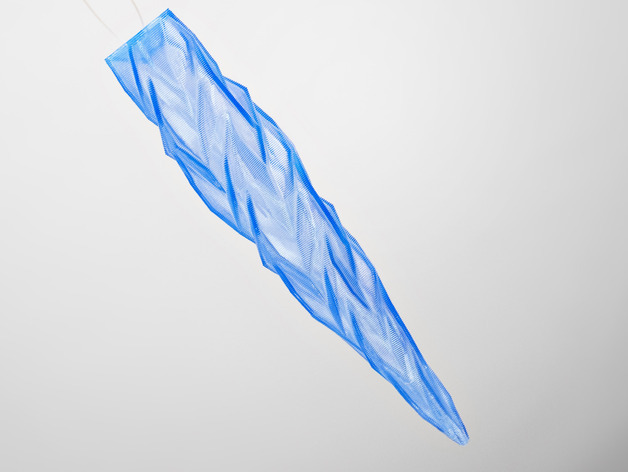 Even if they are similar all that can really do is further balance the concept to allow it to grow. Care to explain how does the chance to freeze enemy weapon work (say, a flat chance, modified by quanta (at attack or at casting? ), or something else)? I really like the idea if a "temporary weapon" however, as zombies said I think the current incarnation is pretty weak--too little damage and too high cost. 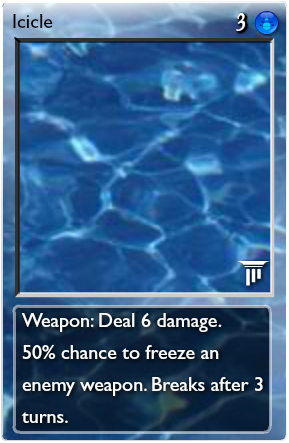 Depending on the chance to freeze this is either too weak or too strong. 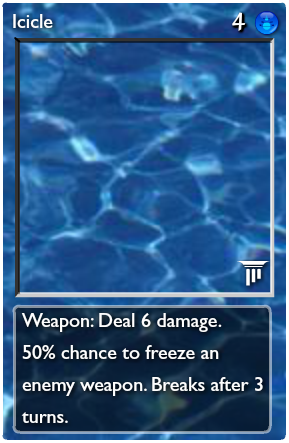 I would recommend bumping the damage by 1 and keeping a relatively low chance of freezing. 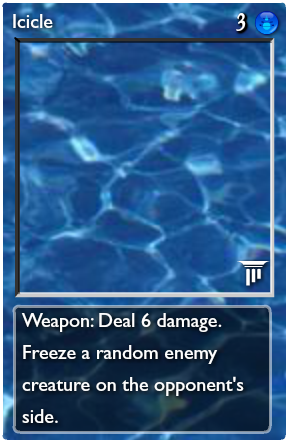 Also, what do you think about freezing (disabling) enemy shield if they have one instead of the weapon? 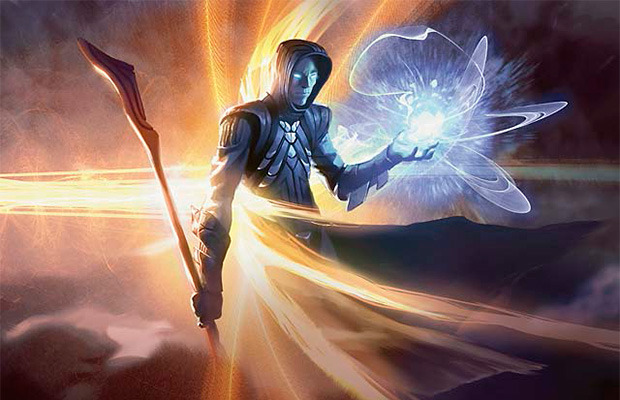 Makes thematic sense, but is a bit weird mechanically. A bit more different than I thought, but my statement stands. 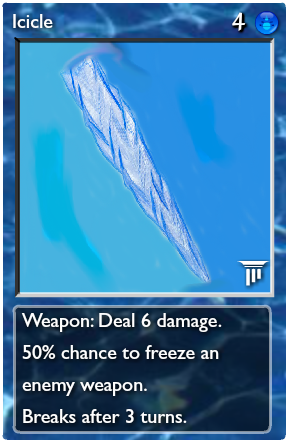 I love the idea of a weapon that freezes the enemy weapon, and it's certainly a good alternative to Trident for those not running . 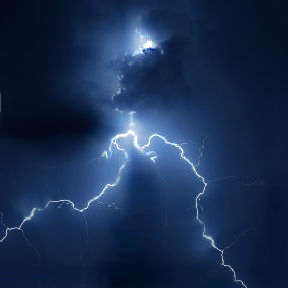 *Edit* Wow I edited this post a lot. My apost'troph'e's are all over the place today...'. You didn't use my fabtastic art? !